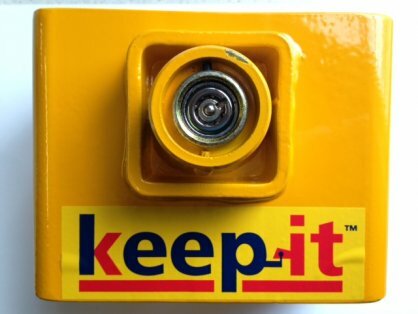 Keep It Eye Ring Hitch Lock for use with plant and agricultural trailers and horse trailers to provide ultimate security - This lock is fitted to your eye ring to prevent anyone attempting to hitch your trailer. It is ideal for trailers used to transport commercial plant equipment and for agricultural and farm trailers. One of the best security locks money can buy.